Astroturfing Afterward: This campaign may be launched in jest, yet the issue it raises is very real. 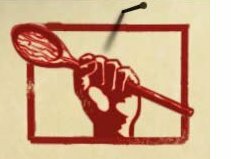 Lookout on Monday for an update on the issue and more details on the dastardly marketers causing our poor chefs so much trouble. In the meantime, show your support for the chefs and have a meal at an Italian restaurant this weekend. Italian chefs in New York and across the United States thank you for your support.